$55. 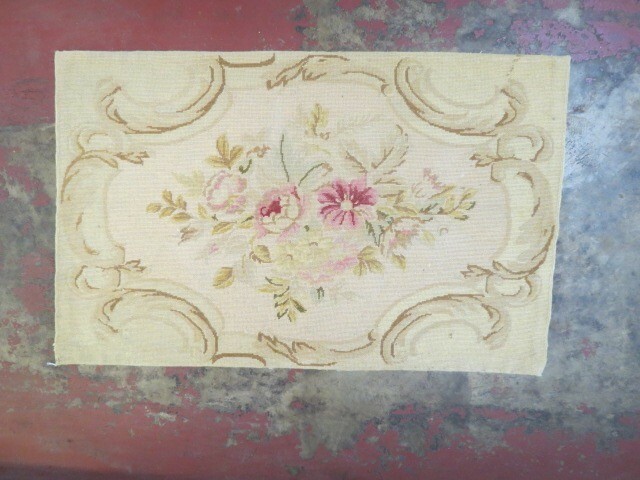 Vintage antique needlepoint French style small rug c. 1920. Beautiful floral center with scroll framing around it. 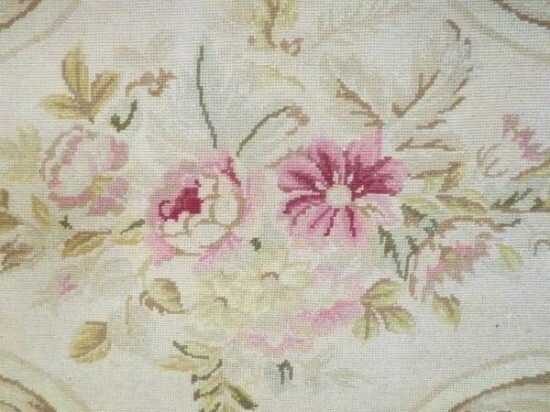 Beige with pink, red, and green. Would look beautiful in a French bedroom next to the bed, or in your living room with a table on top of it, or even in the entry! Very good condition. Measures 22.5” long by 35.5” across.